What is it ? : All of the previous stories in the comics have tended to tell a sequential tale of the heroes and what they have been doing since the end of Star Wars A New Hope. This story is set at some unspecified time, Luke and Leia are still wearing the outfits they wore in the movie, but apart from that it's not made clear of when this story takes place. Luke and Leia are aboard a spice tanker, it's holds are full of medical supplies for the Rebel Alliance and they have come under fire from an Imperial Star Destroyer and it's Tie Fighters. Damaged and vastly out gunned, they make a desperate jump to hyperspace as alarms blare and systems overload. They emerge into deep space, somewhere they guess is outside their galaxy in the void between galaxies. Scanning for their location, Leia spots a star in the distance, but they soon realise that it's not a star as it's moving towards them at tremendous velocity. As it comes closer they see that it's a ship, an organic ship of a design they haven't seen before. And as they gasp in awe, it opens an orifice in it's blobby exterior and swallows their ship. They find themselves docked in a fairly traditional looking docking bay, control panels are visible with more traditional technology and mechanisms embedded in the organic parts of the ship. As they leave the ship, Leia arms herself ready for trouble, but Luke remarks if the ship wished them harm it has had plenty of opportunities, and with that the floor beneath their feet gives way and they drop into separate areas. Leia slides down a chute, and is deposited in an area filled with mushrooms, as she looks around the floor extrudes tentacles which attack her, forcing her to defend herself with the blaster rifle she is carrying. 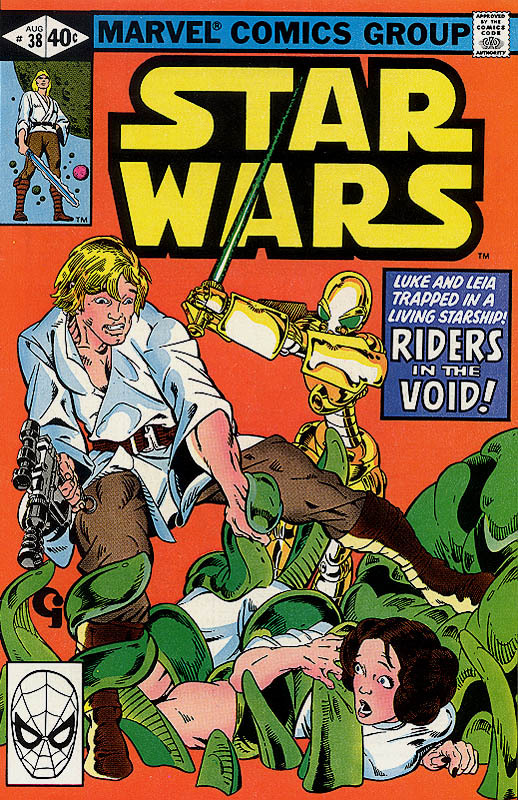 Luke however drops onto some kind of gelatinous sack, which stops him being harmed by the fall, but before he can recover fully he is attacked by a lightsaber wielding droid. As they fight the droid talks away, analysing Luke's fighting style and appraising it as if he was an opponent in a video game. Realising that the droid is learning quickly, he reacts, allowing the droid to make an attack which leaves it vulnerable, and he strikes cutting it down. The same voice as the droid speaks from around him, realising that he and Leia are real, and declaring them enemies aboard the ship. 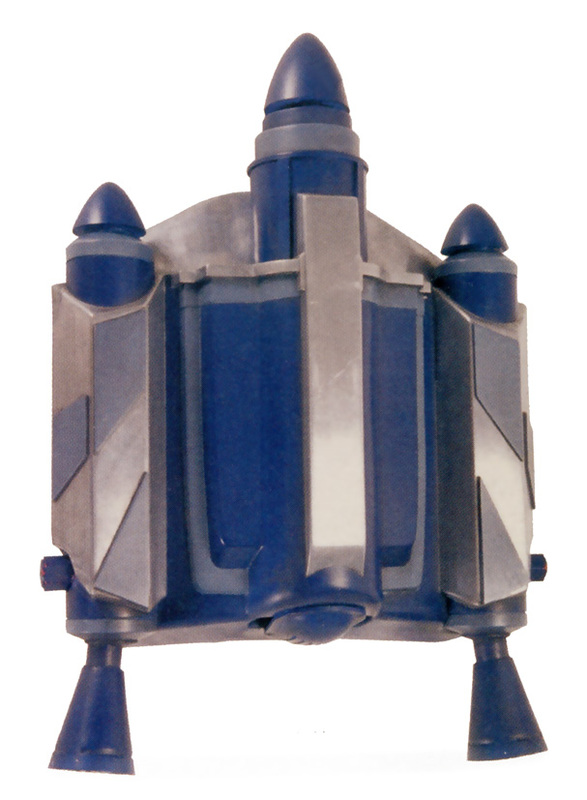 An opening forms on the outside of the ship, and the resulting vacuum pulls at the two heroes. They grasp into one another, fighting to hold themselves inside the ship and avoid being expelled into the void outside, when the opening in the hull closes and the voice speaks again. It realises they care for each other, feelings it used to have but had nearly forgotten about, and it opens a series of tunnels through the ship leading them to it. They find the pilot of the ship in a heavy and technological suit, merged somewhat with the substance of the ship. He tells them of his history, that once there were many ships like this, but war came and after one final battle only this ship remained. But their enemy in defeat released a virus, which killed their family and friends, spreading from planet to planet, destroying an entire galaxy. So the ship fled that galaxy, travelling the void. The pilot and ship merged, it symbiotically keeping him alive, as they played constant games to keep him distracted from his loss and entertained through the eons. As he talks, Luke realises that the ship is taking them back to their galaxy, following the course they took to arrive, emerging from hyperspace at the Imperial Star Destroyer which was pursuing them. The massive ship dwarfs the Star Destroyer, which tries to communicate only getting insane laughter as a response. Luke tries to warn the pilot about the Empire, but it is too late, the Star Destroyer opens fire, causing pain to the ship and it's pilot. The Imperial crew detect that the organic ship is healing the damage with incredible swiftness, but if they continue firing they will overwhelm it's ability to heal, so launches Tie Fighters to swarm the massive vessel. The pilot feels the pain, chastising the ship for making this game too real, but Luke warns it that they have emerged in the middle of another war, their war. The pilot understands, although still finds it strange after playing games for so long. The ship opens orifices, deploying anti-matter pods which collide with the Tie Fighters and Star Destroyer annihilating both, informing Luke and Leia that their journey can now be continued safely, that their ship has now been repaired, and now he must return to the void and his games. Luke invites the pilot to stay in their galaxy, but he refuses saying that it is too real, and reminds him of his own which he had to escape from. He wishes them happiness as they launch and the ship rapidly moves away, as they hear laughter over their communications system, but it now appears to be genuine instead of insane. High Points : The first thing I've got to complement is the artwork, while the comic's have had a style of their own, but the quality shoots up in this issue. Luke and Leia look like people, the Star Destroyer and Tie Fighters all look like their movie counterparts, instead of the weird variants we've been seeing up until now. But it goes beyond that, each frame is art in itself, and instead of just flipping through the pages, I found myself savouring the details of each, being drawn into the story and the world through the depth and detail of the artwork. And although linked, I must compliment and praise the design work, from the strange organic technology of the ship, with control panels fused into organic growths, right through to the ship that Luke and Leia fly, which is one that has stuck with me over the years as a solid piece of the Star Wars universe. The lightsaber wielding droids, which are reminiscent of the RA-7 protocol droid, but seem more basic in design, yet more advanced in implementation, also have stuck in my mind for 30+ years. And lets get onto the story, from the basic, Luke and Leia are smuggling medical supplies to the Rebellion and are ambushed by the Empire beginning, which just drops you into the story in a place where you don't need any extra explanation. Right through to the Pilot explaining about his entire galaxy being destroyed by war, and Luke instantly seeing the comparison between the Empire and the enemy of his story. Details pop out, like the amazing technology of the ship, being so much more advanced than the Empire, yet still within their capability to harm or possibly kill, showing it's advanced, but not to levels where it works just like magic. The concept of the pilot being lost in games for eons, and having difficulty distinguishing between the games and reality, now seems ordinary, but in 1980, must have been astonishing. 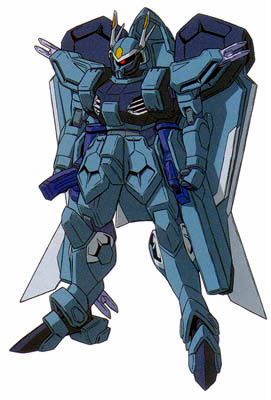 And finally, the motivation of Pilot himself is totally relatable and understandable, with him wanting to avoid being draw back into war, without being scared of fighting. He's a warrior of an ancient war, who has seen it consume everything from his comrades, family and species, through to the entire galaxy and all the life in it. 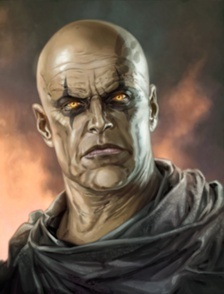 When threatened by the Empire, he doesn't hesitate in killing them, but when invited to take part in another war, he rightly refuses and returns to the void and his games. Low Points : My one and only criticism is that there's not enough. This is our one and only glimpse at the Pilot and his ship. While there have been attempts to tie him to the Yuuzhan Vong, but he doesn't seem to quite fit as he uses more traditional technology merged with the organic technology of the ship. 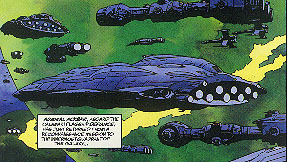 The ship itself is sentient, and he seems far more powerful than the Vong, with a fleet of vessels like this probably being totally unstoppable by the Empire or New Republic. So, we never get to see his fate, we never get to see any other examples of anything left from his entire galaxy. So he remains in the void, playing games to avoid thinking about what he has lost, and what he has done. So what do you really think ? : As should be obvious, I adore this issue. It's beautiful to behold, has a compelling and absolutely unique story. Is filled with things which I found so memorable over 30 years, from lightsaber wielding droids, to organic ships, through to survivors of a war which destroyed all life in an entire galaxy. Riders in the Void ticks all the boxes for me, and may be just about my perfect Star Wars story of all time. Final Words : Well, next issue, The Empire Strikes Back. As we all already are aware of the story of the movie, there's no need for me to go through it issue by issue, plus I've not been doing these reviews and stats for 32 issues straight now. So I'm going to treat this as a series break, and take a week off. I'll be back with a review of all six issues of The Empire Strikes Back, where I'll focus on the differences between the comics and the movie, and whether there's anything added to the story.